As a longtime civil servant from Northern California my future posts will focus primarily on customer service, both internally (co-workers, control agencies, etcetera) and externally. I will also address how technology and software applications affect customer services. 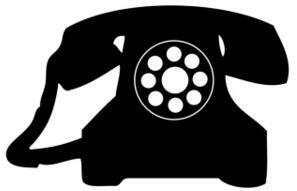 My first post considers the telephone; that common device that takes up space on our desks and walls, hangs in our ears, and charges in planes, trains and cars. We can walk, run, work or drive, eat and sleep with it. It rings in all sorts of tones and even vibrates. Many of today’s phones are also multitasking devices. So why do people call a government agency when other means of contact, like texting, exist? Usually when there is a time sensitive problem or a service that has gone terribly wrong, such as a licensee not receiving confirmation of a licensing action, or a driver’s license was withheld, customers need to get through to a person and not an automated message service. What do customers experience when they call? Lately, I have observed that large organizations, both public and private, have gone mostly to telephone answering networks, featuring the “Welcome to Agency X. Please state the reason for your call. I did not understand that answer. Can you say a ‘rubber ducky?” response. I frankly don’t like the journey on which most automated telephone systems takes us. The experience can be long, incomplete, lacking in shortcuts, and often end with “We are currently experiencing a high volume of calls. Your estimated wait time is 20 minutes. Please continue holding, or press ‘three’ now to leave a message.” Then the torturous, ear-piercing music begins. 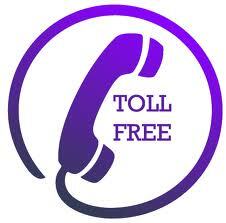 I have also noticed that most public agencies provide a toll free number for telephone service requests. Considering that first impressions often last, do we want public customers to experience an impersonal, automated phone service? In my opinion, it is not good customer service in this age of technological enlightenment. So why have we created this default manner of customer intake? What are our choices, and how much will it increase costs to provide live intake staff? Or will social apps such as “311”, hash tags, or other texting services make government telephone access obsolete? An ASPA Founders’ Fellow recently provided an excellent historical summary of how Americans have expected better service, and more recently, more technologically driven improvements from the past three federal administrations. It is time to adapt to new technology. It should be an effective transition for all. So how can public agencies adapt to electronic customer intakes knowing the heterogeneous public that we serve? For example, will electronic intake meet the needs of the disabled and elderly persons? What about the poor who are without access to modern devices such as cell phones, laptops and personal computers, or subject to slow internet service?